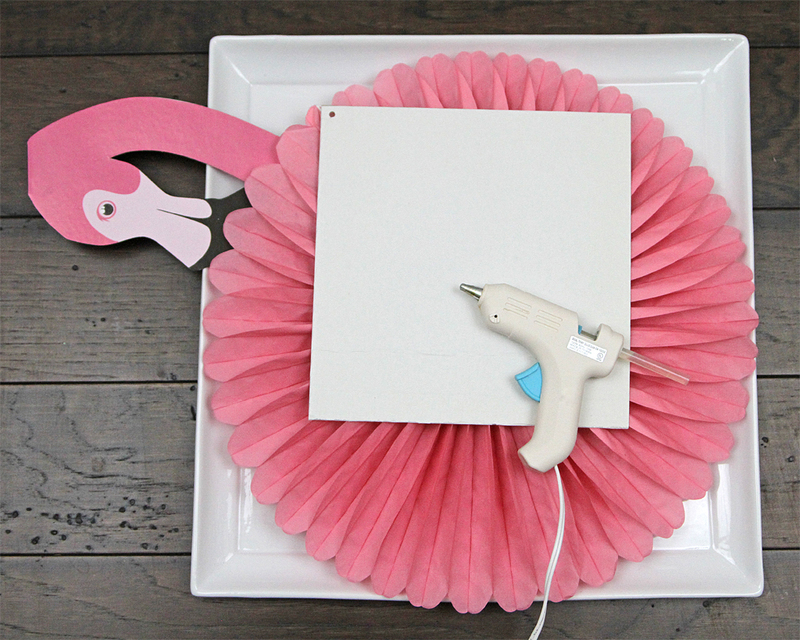 Let the Flamingo Summer Party fun start at the front door with this simple, yet impactful wreath. 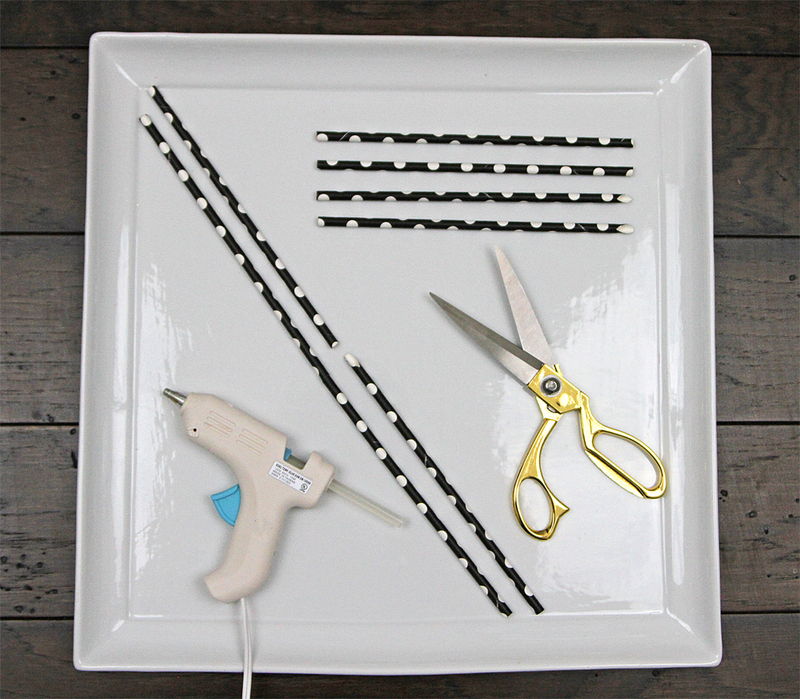 Unexpected construction components make this décor piece that much more whimsical and will have your guests smiling even before the festivities begin. 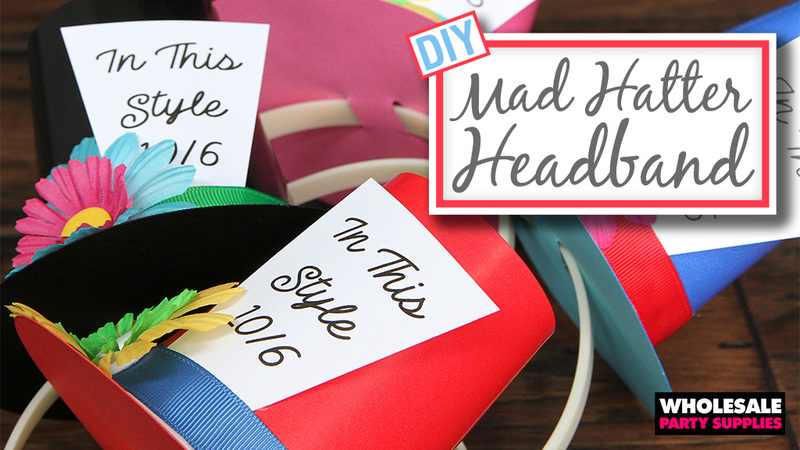 The key element to this wreath is the flamingo head. 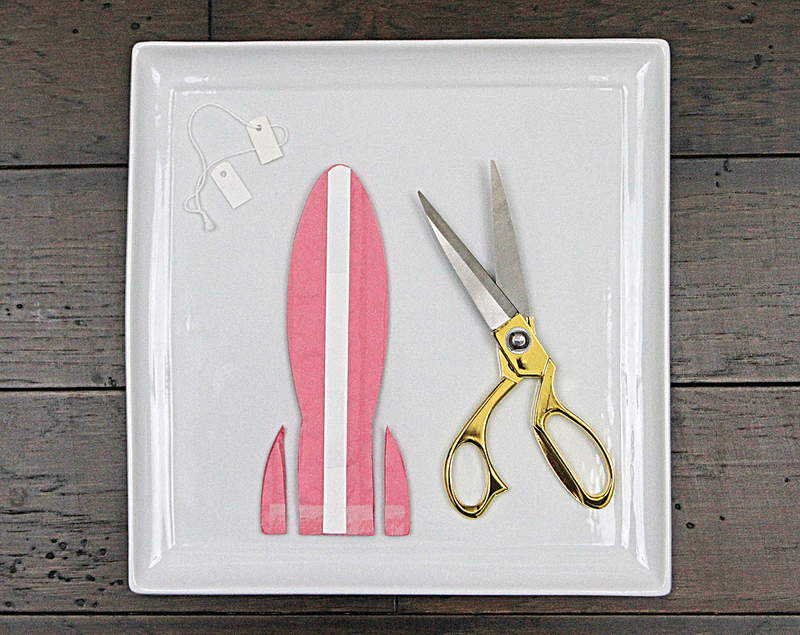 It is getting re-purposed from a pre-made centerpiece. The rest of the supplies are pretty standard fare. STEP ONE- Punch a hole in one corner of the cardboard square. STEP TWO- Trim hanging tabs and both lower sections from the paper fan. STEP THREE- Glue fan together with head inserted. Use double stick tape where needed for extra stability. Trim exposed head tabs on FRONT ONLY as needed. STEP FOUR- Turn fan over and flatten exposed head tabs. The flatten tabs will provide an additional place for glue. STEP FIVE- Glue flamingo fan to the cardboard backing making sure the hanging hole is at the top aligned with the headpiece. STEP SIX- Open honeycomb half way and glue to center front of the flamingo fan. STEP SEVEN- Trim one end of two polka dot paper straws at a 45-degree angle. 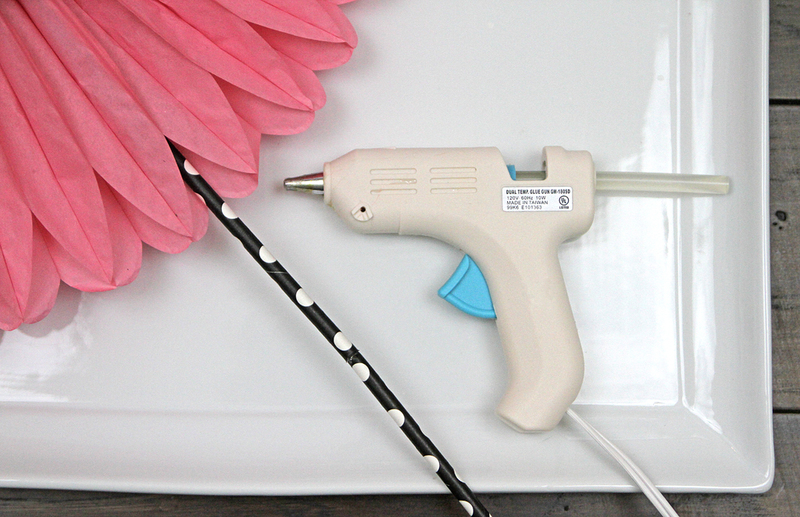 Insert cut ends into two untrimmed straws, using a dab of glue to secure. 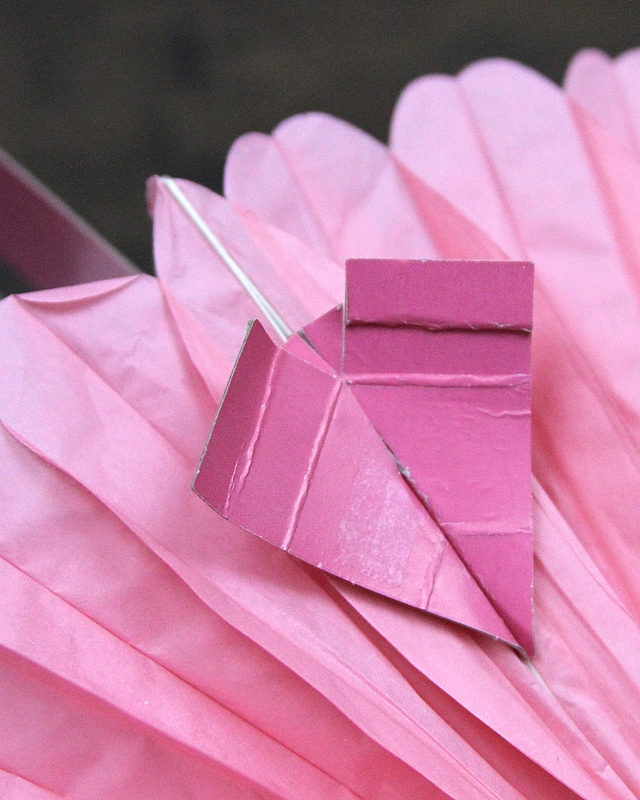 STEP EIGHT- Glue straw “legs” to the flamingo in between the fan layers. 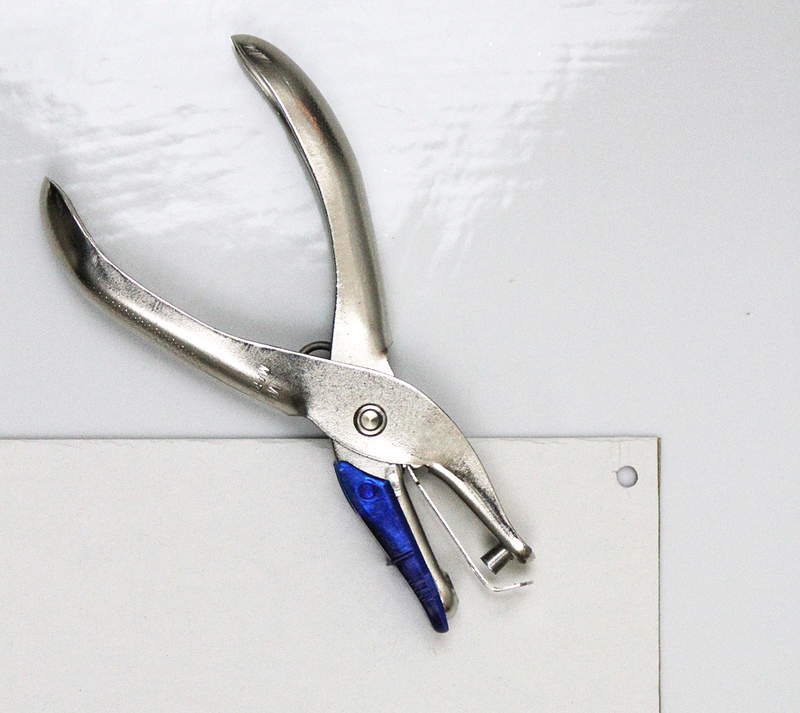 Tie monofilament to the cardboard backing through the punched hole. 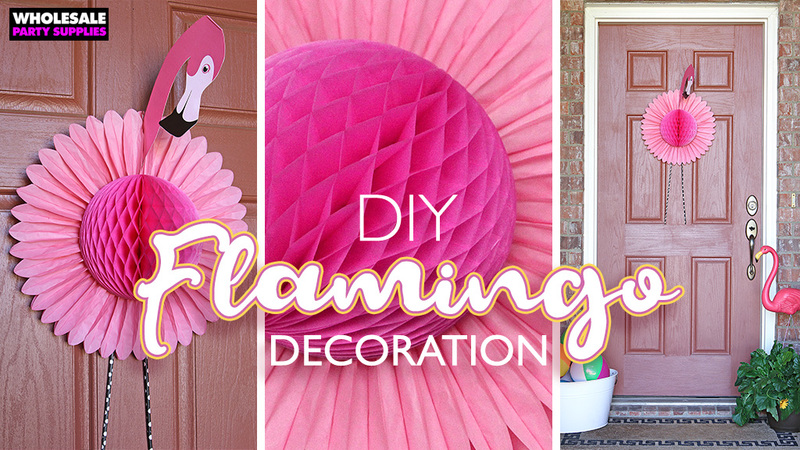 Hang wreath and let the flamingo fun flock to your door! If you’re as tickled pink as we are about this fine looking flamingo, let us know on Facebook, Twitter and Instagram! 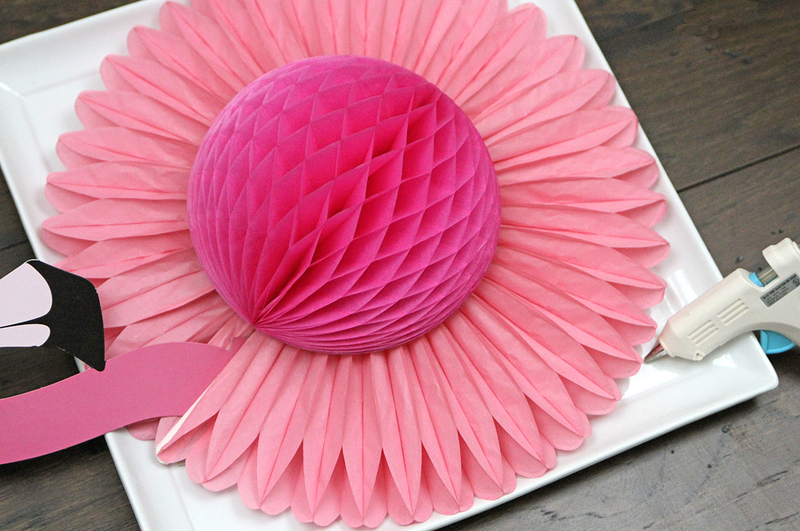 Save this to your Summer Party Ideas Board!